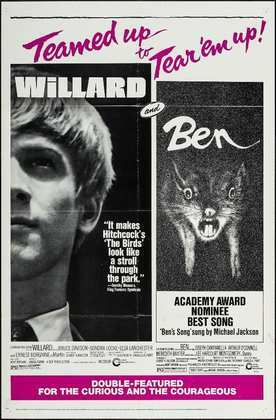 I remember getting caught up in ‘Willard’ fever in 1971, and again with ‘Ben’ in 1972, despite never having seen either. But the trailers were on regular rotation on local radio and television in Ohio (where I lived at the time) and, of course, Michael Jackson’s version of the title song from the latter film was in the air. In fact, I believe he sang it when playing with the Jackson 5 at the Ohio State Fair in ’72, and I was there. But I was only 11 at the time, so there wasn’t a chance in hell that I’d have been allowed in to the cinema to see it. So, until now, although I have always held both films in great regard, I had never actually seen them. So for not one but two to get their first release in the UK on HD with a 4K restoration, delivered in a lovely looking box set, was most welcome. Of course, for many, the relatively recent ‘remake’ of Willard will be the one that’s remembered – released in 2003 with Crispin Glover playing the lead. Well, I haven’t seen that either, so I won’t be making any meaningful comparison here. Based on Ratman's Notebooks, a 1969 short novel by Stephen Gilbert, which features an unnamed misfit who relates better to rats than to humans. In fact, after the release of the original film, the book was re-released with the title Willard. The two films are absolutely joined at the hip, one picking up where the other left off, though it was not yet fashionable for a film to simply add ‘II’ or ‘2’ to the original title. 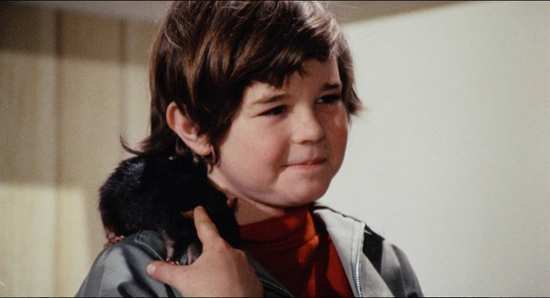 That said, Willard, a human character, only appeared in the first film whereas ‘Ben’, the Rat leader, is very much a feature of both. But enough of that. On with the reviews. 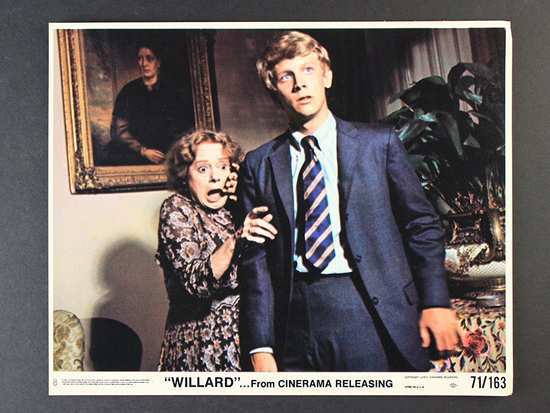 ‘Willard’ features a nervous young man, somewhat similar to Anthony Perkins’ portrayal of Norman Bates in ‘Psycho’, called Willard Stiles (Bruce Davison). 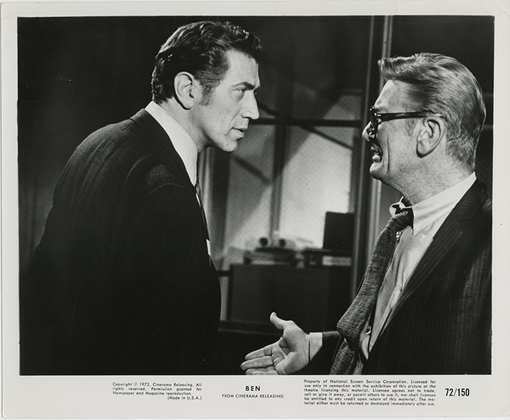 It transpires that he is dominated, not only by his mother (Elsa Lanchester, Bride Of Frankenstein, in her last film) but by his bullying boss (Ernest Borgnine) who it transpires, has ‘stolen’ the business from his equally nervous and now deceased father. So he’s not a happy chappy. Until he befriends some rats in his sizable garden that is. He soon discovers that he seems to be able to communicate with them to some degree, and with his named favourites, ‘Socrates’ and ‘Ben’ in particular. When his bosses bullying becomes ever more unbearable, and with the passing of his mother, Willard decides to become more assertive in the office. Even of that means enlisting the help of his new friends. Whilst the revenge is sweet, and well justified (I won’t spoil how it happens here), it’s somewhat limp in execution. 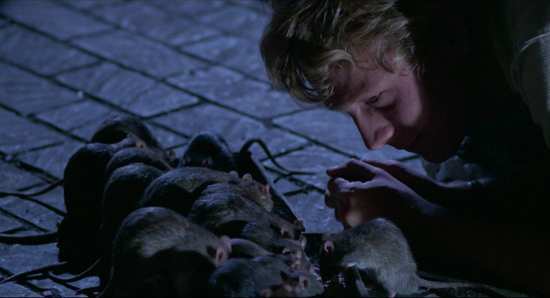 Unless you have a phobia of rats, by today’s horror standards, there will be little to scare you. But the performances form Davison and Borgnine are more than enough to sustain the energy and entertainment, and this, above all else, makes the film enjoyable enough. What was somewhat less enjoyable, and hard to follow, was Willard’s realisation that he will have to destroy the rats – even his beloved Ben. So that cat and mouse action in the big creepy house begins, with the character we initially had sympathy for turning into the bad man. Or is it the rats we’re supposed to hate? Where your sympathies are supposed to lie becomes anyone’s guess. On another plus point for the film, Willard’s love interest is Sondra Locke, long time film partner of Clint Eastwood, in one of her earliest roles. 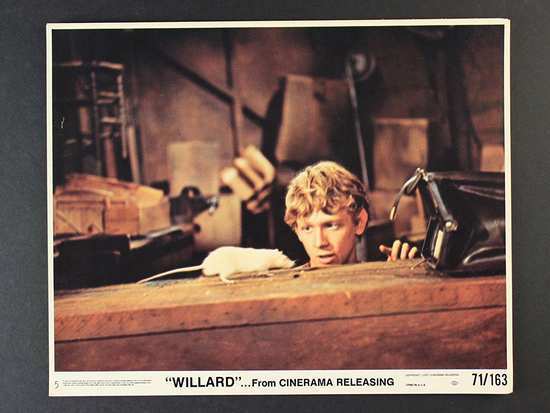 Whether ‘Willard’ deserves the accolade of being one of the first ‘creature features’ that opened the door to films like ‘Jaws’ and ‘Piranha’, it unarguably was among the first and this may be another valid reason for its cult status today. 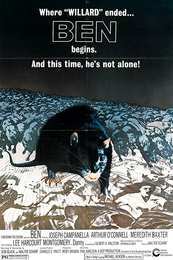 The rats ‘effects’ are impressive, principally because they’re real – though it’s hard to imagine that ‘no animals were harmed in the making of this motion picture’. Come to think of it, I don’t think they even bothered to make that claim. Hot on the tail (get it?) of ‘Willard’, and a chance to repeat Willard’s box office success, came ‘Ben’. 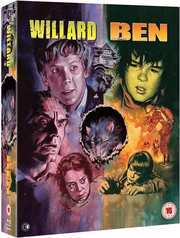 ‘Ben’ generally gets a slating compared to ‘Willard’ as it’s a somewhat lazier storyline, with a less impressive cast. It also starts with the end of ‘Willard’, which is a cheap way to get through the first five of its ninety minutes. However, I enjoyed ‘Ben’ every bit as much as ‘Willard’ but for very different reasons. ‘Ben’ exudes the early 70s and is a story told through the eyes of a nine-year old boy. I was a nine-year old boy in early 70s USA (though been in the UK since 1974) so in some respects, it came pre-packed with the warm glow of nostalgia for me, even though I’ve never seen the film before. ‘Ben’ features a young boy called Danny (Lee Montgomery). Again, an isolated individual who has a mystery illness (to us anyway) which could mean he’s dying. He lives in a large house with his mother and sister and, despite his difficulties, has a sunny personality – making puppets in his garage and rehearsing musical plays. One day, in his garage as he is eating a peanut butter sandwich, he meets ‘Ben’ and the two become instant friends. It’s not long before Danny realises that he can communicate with Ben and the two become inseparable. 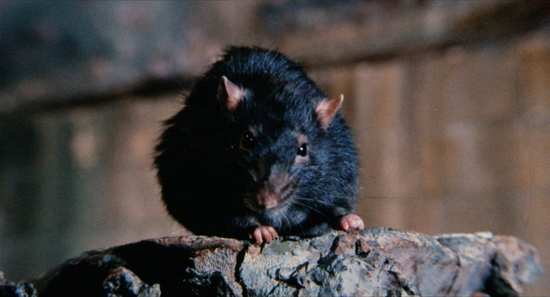 In the meantime, all the rats have escaped from Willard’s house and are now on the rampage, clearing whole supermarkets and even killing those who get in their way. The police are on a major crackdown and the city in a panic. So the exterminators come out on force, searching the city for the rats in order to destroy them. One day, venturing outside to take a look at where Ben lives, a local boy picks on Danny and Ben and some fellow rats come to his rescue, biting the boy across his legs. Before long the police pick up the trail and despite Danny’s best efforts, it looks like things will turn out badly for ben and his ‘family’. The 4K scan of ‘Willard’ looks impressive, albeit with some natural grain as was the style back in the day, but ‘Ben’ is less good. I think that may be down to the source material – the film was rumoured to have been lost (unbelievably for so popular a film from relatively recent times). Whatever the case, it may well be the best you’re going to get so I guess beggars can’t be choosers. The extra features are enjoyable enough and include contemporary interviews with the stars of both films. Bruce Davison looks in fine fettle considering the 50 years (almost) that have passed since it was filmed, but Lee Montgomery is hardly recognisable, understandably I guess, now bald and sporting a beard. There are also a series of TV spots, radio spots, trailers, and tills galleries – plus a poster of the new cover artwork by Graham Humphreys which looks faithful to the era. 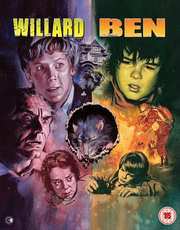 ‘Willard’ and ‘Ben’ may not be the greatest horror films of all time, nor the most entertaining, but they are both worth seeing at least once – especially if the early seventies is an era of film-making you enjoy, as I do. This edition is the only one available in the UK and it’s a very decent one at that, so if they sound like your kind of thing, they are probably worth picking up before they go out of print for another fifty years.